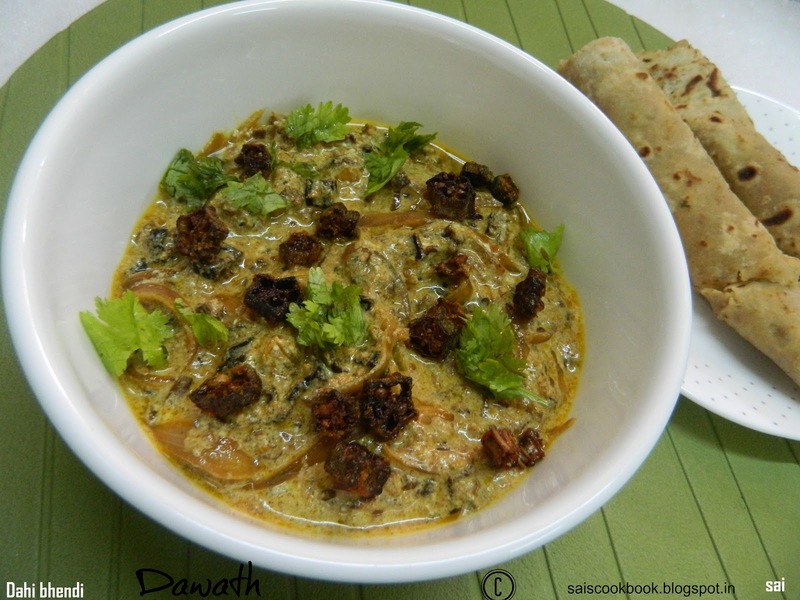 Dahi bhendi is a yogurt flavored curry seasoned with deep fried ladys finger. Dahi means yogurt and bhendi means lady’s finger.I first tasted this dish at a restaurant named Palki in Mangalore.They serve the best dahi bhendi. 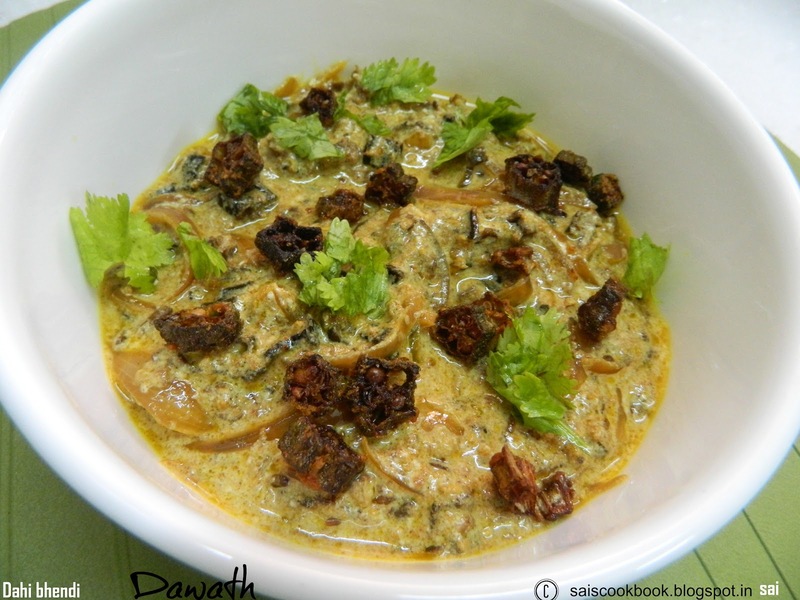 Then finally one day I found this recipe in my oldest hand written recipe book and experimented it and adjusted the recipe as per my taste.I have already posted bhendi white curry yesterday. Wash ,clean and wipe the bhendi’s until dry. Cut it into medium thin slices and apply salt to taste,besan and chilly powder. Heat oil and deep fry the bhendi until crisp and brown in colour. Keep it aside or you may store it for your further use storing it in a airtight container or you may store it in fridge for a longer use. Take a pan and heat 1 tsp oil,splutter cumin seeds and then fry onions till translucent. Add green chilly,turmeric powder, coriander powder,cumin powder and fry for half a minute in simmer. 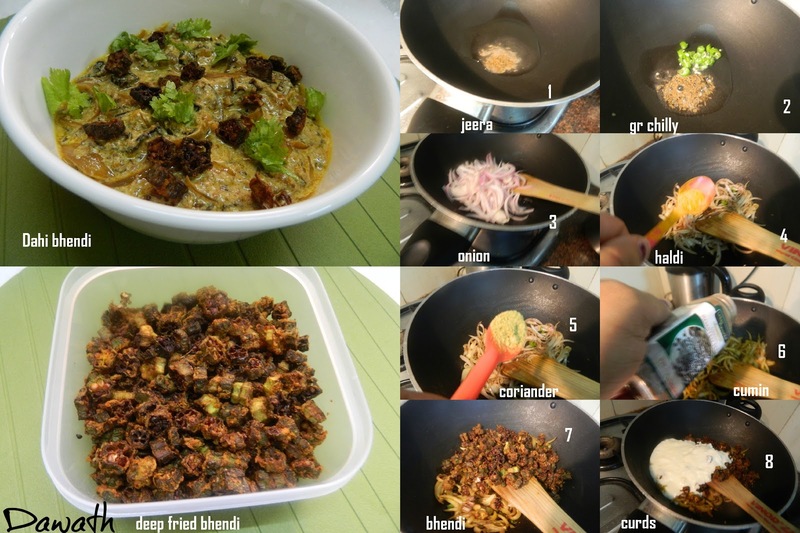 Lastly add fried bhendi and saute for a second. In another bowl beat the curds and salt to taste. Cool the bhendi mixture and add it to the curds. Best served as a raita with the main course.